Today's a bit of a departure from the typical Halloween fun. Some of you might find it spooky. To me, it's heartwarming. You'll see why. One year ago today, we lost my Dad, an amazing guy. He was a very spiritual person, and didn't fear death. 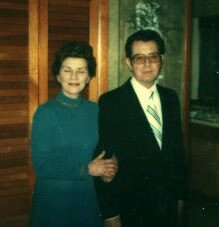 In fact, in the years since my Mom's death, he often repeated he couldn't wait to see her again. He felt cheated by her death. Since about 2007, Dad had been bedridden, owing to a series of bizarre medical mistreatments that, were I to write about them, people would say, "That couldn't happen!" But that's for another time. Today's about my Dad, Joseph James Masterson. So many people knew my Dad, that when I'd ride through town with him, everyone, it seemed, would wave. He was a local hero, for sure. Even before he was ordained as a deacon, he always went out of his way to help people. Besides my six brothers and sisters, so many others felt the loss of his death in a personal way. The number seven seems to be a significant one for our family. Both my Dad and Mom came from families of seven. I was their seventh (and last) child. So seven's more than a lucky number for me, part of the reason I wrote my short story, Seventh Heaven, set in my hometown of Lambertville, NJ/New Hope, Pa (if you know the area, you know it's practically the same town). The trailer contains shots of Lambertville and New Hope I took when visiting home. After my Dad died last year, my husband and I stayed at my brother's house for the funeral services. At some point, my brother mentioned something unusual about his bathroom tile. I asked to see it. Sure enough, there he was - my dad. In the tile. Every other tile, actually. If you click on the photo below to enlarge it, you'll see him in the top right corner. Spooky? Nah. 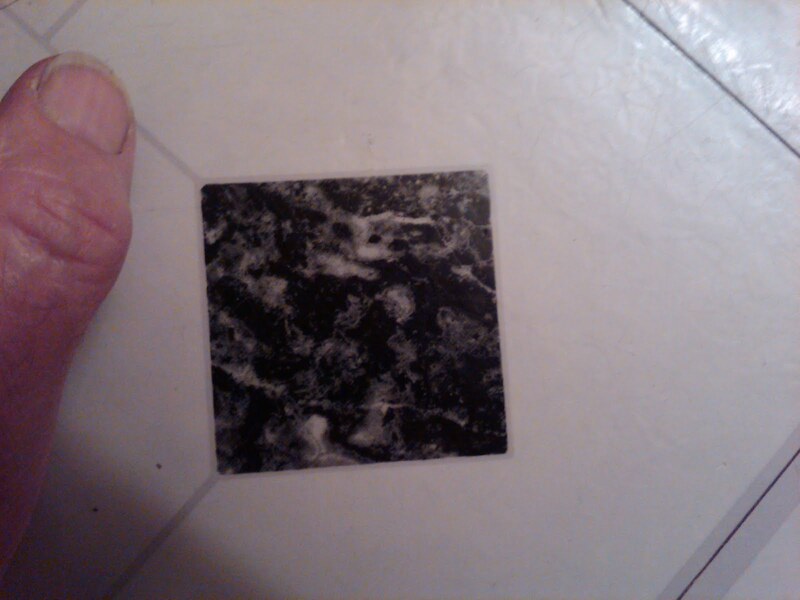 I wish he were in my bathroom tile so I could see him every day. I miss you, Dad. But I'm sure you and Mom are both whooping it up in Seventh Heaven. Tomorrow, I'll be in Carlisle, Pa., for the Celebrate the Book festival. If you're near the area, hope you can stop by, say hello and maybe buy a book or two. :) It runs from 9:00 a.m. to 5:00 p.m. I'll have another special Halloween guest tomorrow here, so be sure to check back. That was a beautiful tribute, Cate. Your father was an extraordinary man. Lovely post, Cate, and I'm so sure both your Mom and Dad are looking down at you with a smile. Thanks guys. You're very sweet. Much appreciated. Wonderful tribute, Cate. I know your dad is probably thrilled to be with your mom again. I smiled at the bathroom tile photo. It's almost like he left it there to make you smile. My father passed away four years ago. He was a wonderful man, too. When I would stay with him in the hospital, people would come to visit him. People I didn't know, but who my father had in someway touched their lives with his kind heart. He was always there to help out someone in need. He always had a smile on his face and always a kind word. I sure do miss his hugs. Aw thanks Keena. My dad was a bit of a prankster! I wouldn't be surprised. I know, Karen - hugs to you! Sounds like your dad and mine would've gotten along well. Maybe they are now!